Used Cars under $10,000 near Farmington Hills | Southfield CDJR " "
Recent Arrival! ''SUNROOF, POWER DRIVER SEAT, 15 WHEELS, Cloth, 15 x 6 Silver Alloy Wheels, Power windows, Remote keyless entry.Silver 2002 Honda Accord SE 4D Sedan 2.3L I4 SMPI SOHC 4-Speed Automatic with Overdrive FWDSouthfield Dodge Chrysler Jeep Ram is very proud to offer this handsome 2002 Honda Accord. 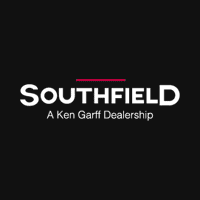 23/32 City/Highway MPGSouthfield Chrysler Dodge Jeep Ram became part of the Ken Garff Family in 2014. Our dealership has many satisfied customers from Southfield, Detroit, Bloomfield Hills, Farmington Hills, and Troy, MI. Our commitment to our customers begins from the moment they step into our showroom and test drive one of our new Chrysler, Dodge, Jeep, or Ram models or one of our quality used vehicles.